Explanation: This is what the Earth looks like at night. 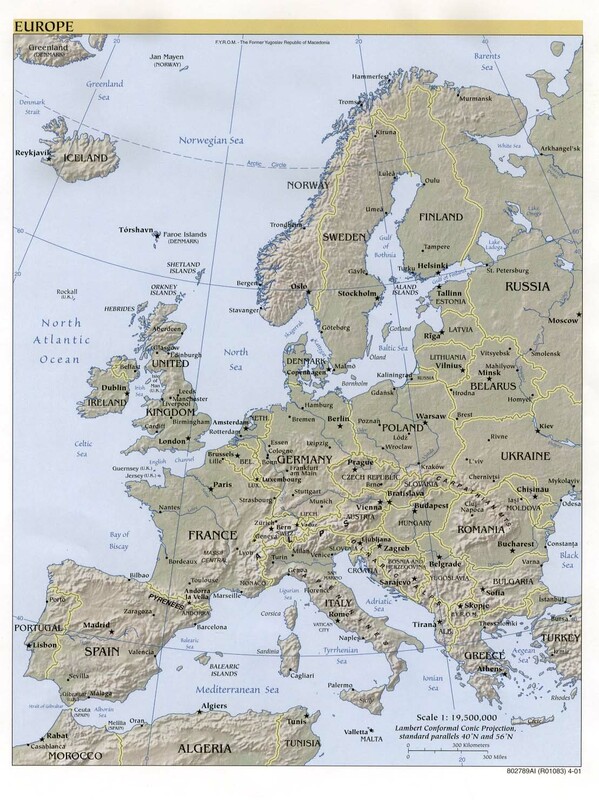 Can you find your favorite country or city? Surprisingly, city lights make this task quite possible. 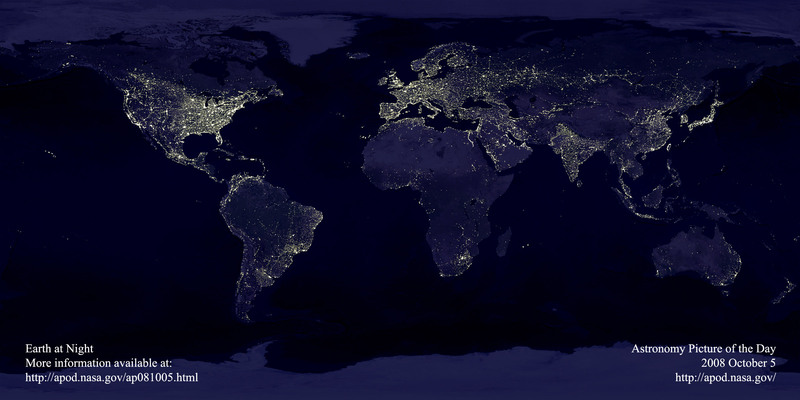 Human-made lights highlight particularly developed or populated areas of the Earth's surface, including the seaboards of Europe, the eastern United States, and Japan. Many large cities are located near rivers or oceans so that they can exchange goods cheaply by boat. Particularly dark areas include the central parts of South America, Africa, Asia, and Australia. The above image is actually a composite of hundreds of pictures made by the orbiting DMSP satellites. And older picture but still pretty cool. It is also a tad chilling see how much of the world actually goes dark at night and where all of the light is concentrated at.